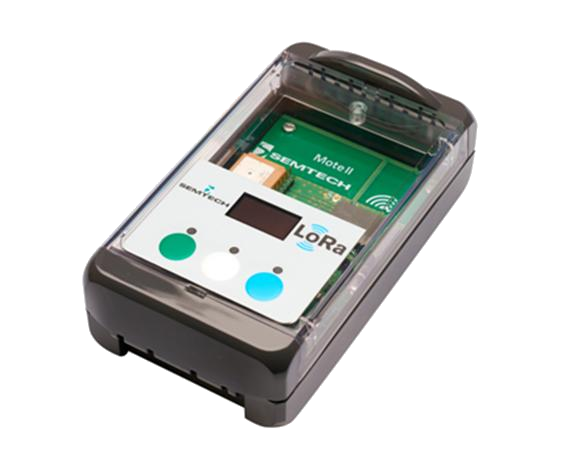 The Mote II for LoRa®-technology is a demonstration platform intended to be used in a variety of applications. It is fitted with the low power, bidirectional radio module iM881A-M (868 MHz) and sensors like accelerometer, altimeter, and temperature sensor. Additionally it provides a GPS module, a display and three buttons and LEDs. 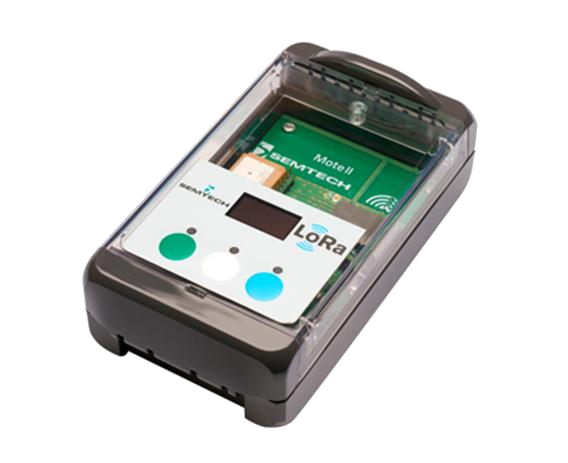 The firmware will be provided by the open source github project lora-net. LoRa® is a registered trademark of Semtech. Related links to "Mote II"
Customer evaluation for "Mote II"